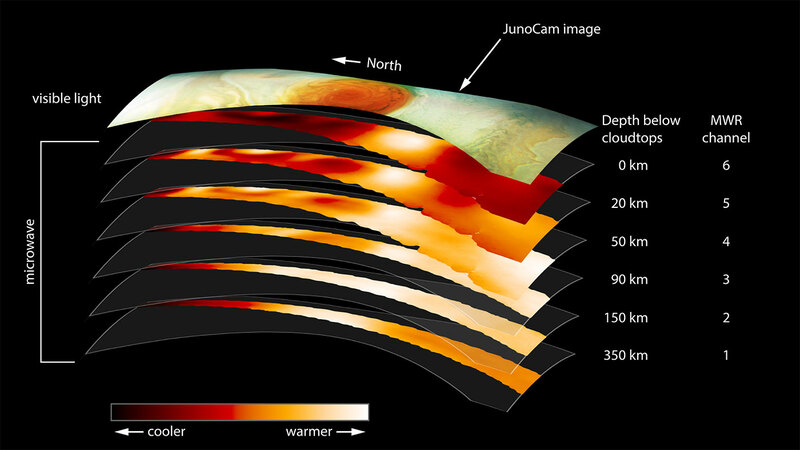 December 11, 2017 – Data collected by NASA’s Juno spacecraft during its first pass over Jupiter’s Great Red Spot in July 2017 indicate that this iconic feature penetrates well below the clouds. 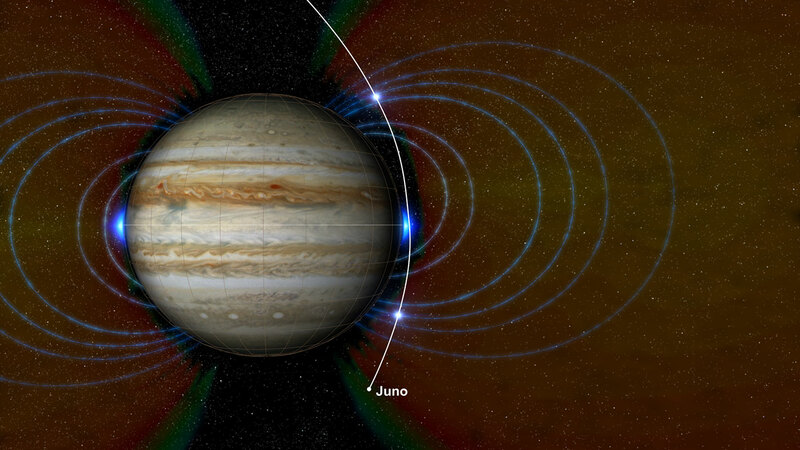 Other revelations from the mission include that Jupiter has two previously uncharted radiation zones. The findings were announced Monday at the annual American Geophysical Union meeting in New Orleans.